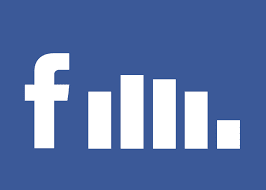 How to Overcome declining Facebook Organic Reach ? Statistics can be intelligent and beautiful, driving business and telling stories ! 1- Exponentially growing competition over content that has to be shown in everyone's newsfeed. Not all stories can be displayed, .. True, but this is not necessarily a fatality. Solutions can be found to enable users to filter newsfeeds themselves. This leads us to the second explanation, to quote Facebook ! Really ? So we are supposing that people "like" pages that they do .. not like. I would not hide my frustration as a user of Facebook Pages services, but let share my experience as a regular Facebook user who likes some pages. Many of them have not shown on my Newsfeed for long months, to the point that I totally forgot about them, or I believed that they were shut down. The truth is, that I did engage with those pages and I regularly check them. This is a simple story showing that Facebook's algorithm is totally unfair and abusive, deciding for us what is most relevant and what is not. How many times I have been asked by friends why there is no more content o my page, however, they simply never get page's updates on their newsfeeds. Still, fans should know about these interesting options, and this is quite challenging. In my own opinion, this can sound pretentious but it all depends on when and how you make this call. It can be tricky to invite your fans to check the options in order to know immediately about your promotional gifts, why not. Finally, because we, community and brands managers, have to cope with this reality, we should consider the success stories when it comes to users' engagement which looks to depend not only on content's quality & frequency, but also on how you communicate with fans. Just a hint: some pages succeed on sharing stories, real stories of humans, others improve their organic reach by getting their fans involved in the content itself, etc. It is all about communication, meaningful communication, in its most basic and obvious form. To be continued..
Come and see how 1,000's of people like YOU are making a LIVING by staying home and are living their dreams right NOW. Statistician in love with Web Intelligence challenges and data visualization arts and codes. Here I share some data processing & analytics tips and online branding practices throughout my own experience. Productivity is a must, a way to love what you do, to take advantage of all the information you have, and to faster reach your goals. I review some tools which really helped me out. 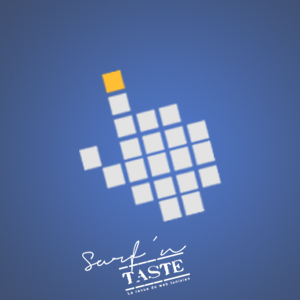 Data-driven & visualized news blog (Tunelyz) and web entrepreneurship and critics blogzine (Surf'n Taste). Both sites were launched in 2012 surfing on the wave of enthusiasm and citizen awareness following the 2011 revolution : More and more people were creating online media and businesses, while the whole public opinion has been increasingly interested in the socio-economic insights. Cultural ezine and community since 2008 dedicated to free, leading and creative Tunisian women nationwide and abroad.